Hello faithful readers, I’m back! 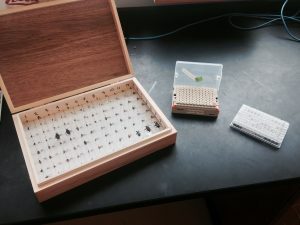 Last you heard, I was returning from a harrowing six week trip on the BIObus to the west coast of Canada, and just recently I returned from the two week field entomology course offered by the University of Guelph. It marked both the final expedition of the course (as far as I am aware) as well as the end of my undergraduate career. My time at school was a load of fun, and I couldn’t have thought of a more fitting culmination. Now, I’m back at BIO and we’re just finishing up the processing for School Malaise. This is my third year that has begun with School Malaise, so let me give a small introduction to the program. 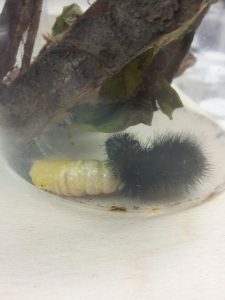 This year elementary and secondary schools all across Canada set up Malaise traps for a three week period where they collected insect specimens. They then sent those to BIO, and we’re currently in the midst of processing all of the samples so we can return the data (and announce the winners!) before the school season ends. The part that I play is quite small as I’m still registered as a student, but I can say that I had a hand in counting the number of specimens in a bunch of those traps. If I remember correctly, one school in Alberta had roughly 7,000 specimens! 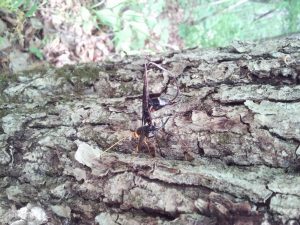 Speaking of diversity, the field course to Missouri was loaded with interesting bugs. Missouri feels like it’s a few months ahead of us, in both temperature and insect fauna; I remember as soon as we got out of the vehicles everybody started looking under rocks and logs to get a first glimpse of the bugs. One of my two favourite catches over the trip was the giant 5 ½ inch ichneumonid wasp, Magarhyssa atratus, which uses its five inch ovipositor to burrow deep into hard trees where its larvae consume wood boring insect larvae. 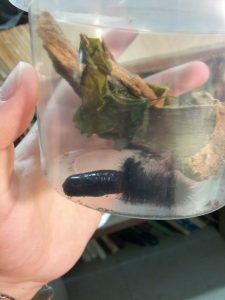 My second favourite catch was the huge caterpillar I found under the bark of a dead tree. From the bristles I assumed that it was an arctiid moth caterpillar like the small woolly bears you see walking across sidewalks in the fall, but I couldn’t find a proper identification to be sure until it hatched. 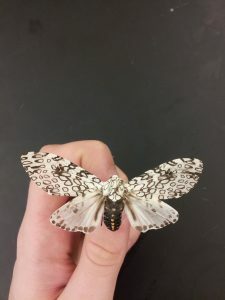 It took seventeen days, but I finally got a beautiful three inch leopard moth, Hypercompe scribonia. Most arctiid moths are brightly coloured, which is part of a predator avoidance tactic called aposematism. The bright colouration acts as a warning to predators that the bearer is unpalatable and should be avoided. Aposematism is used widely in the animal kingdom, most notably in the bright black and yellow of hymenopterans like wasps and bees. 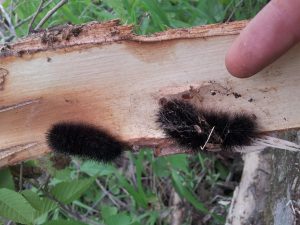 Aposematism helps you learn to stay away pretty well after a couple of stings or toxin filled mouthfuls! That’s all for now folks, see you in a few weeks when I’m back from a five day aquatics and soil sampling trip on the BIObus! 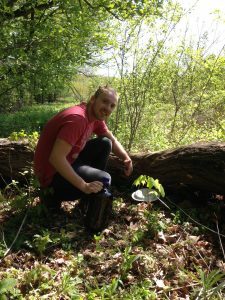 My name is Dan Engelking, and I am currently working in Collections as a Collections Technician for BIO this summer. I would like to officially welcome you to my portion of the blog! 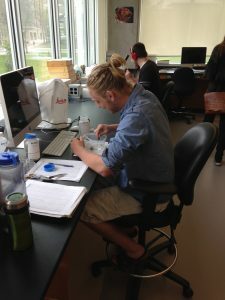 I have been working in the same position as a work study student for all of the last school year through the University of Guelph, so as soon as I started up again after exams I hit the ground running. I have been assigned to process Pacific Rim National Park in British Columbia. For those of you that are unsure of what processing a park means, I will give you a quick description. 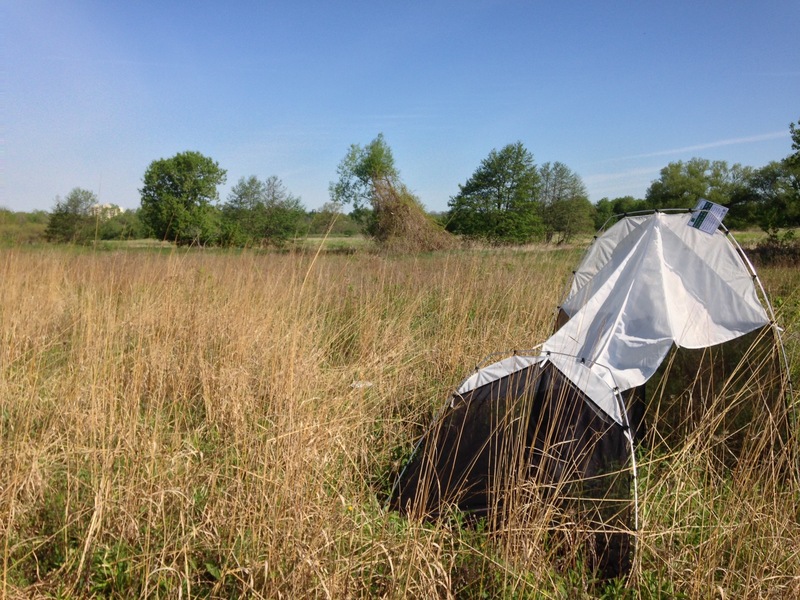 The BIObus team goes out in the summer and collects insects and many other invertebrates in many different types of traps and collecting methods. These collected specimens are then put in ethanol and stored until we can do the actual processing, usually on a later date. The act of processing is taking these specimens and putting them in specific containers depending on size. You can pin the larger specimens in a Schmidt box, store the medium specimens in a matrix box, or plate the small specimens in a microplate. I took a picture of the containers so you can see what they look like! (Schmidt box on the left, matrix box in the middle, microplate on the right). All sizes of specimen usually require the use of my trusty microscope. 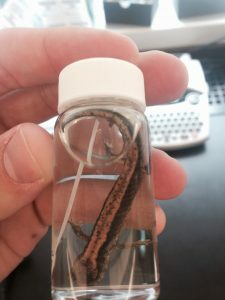 While you place the specimens in their corresponding container, you need to identify and record the specimen’s taxonomic order. For example, you see wasp you would identify that as Hymenoptera, a moth would be Lepidoptera, a mosquito would be Diptera, etc. Once you get through a sample lot, then you input all of that information into the database and you send your microplates and Schmidt boxes to be tissue sampled and your microplates straight to the DNA lab. Western Red-Back Salamander that was unknowingly trapped in our insect trap! This is pretty exciting for me because I am still somewhat new to processing so every new bottle I get to open up and process is a whole new adventure for me! So far the most surprising specimen to find in a lot was a Western Red-Back Salamander! You can see the little guy in the pic next to this paragraph. I have also seen some very large coleopterans (beetles), and much more cool stuff as well. I will for sure be posting pictures of anything really interesting that I find in future blog posts! The collections lab has also been hard at work counting and processing all the School Malaise Trap Program specimens. These specimens are collected by elementary schools in Malaise traps all across Canada. They are then shipped here for us to process and barcoded so we can tell the children everything that they helped collect. We first count the amount of specimens in each bottle and then they are passed to another staff member to process. I have been doing a lot of counting. Here I am with my state of the art insect counting Tupperware in the middle of an intense counting session. You can really see the raw determination and focus. I think there were over 1000 specimens in that lot I was counting! Starting last Thursday, I have also been doing some weekly fieldwork! Every Thursday morning I get to drive out to a study site in Cambridge in the rare Charitable Research Reserve to retrieve the specimens collected in the Malaise and pitfall traps that have been set up there. The morning consists of me driving out to the site in the van (or as I like to call it, the van-borghini). I stop at four different Malaise traps that are each surrounded by three pitfall traps. I change the bottle on the Malaise traps and collect the specimens out of the pitfall traps and then refill them with ethanol. All-in-all it was a great way to spend a Thursday morning at work! That’s it for this blog post. Stay tuned for more great action shots and some more info on what I do here at BIO.